AVAILABLE STARTING 8/1/19! 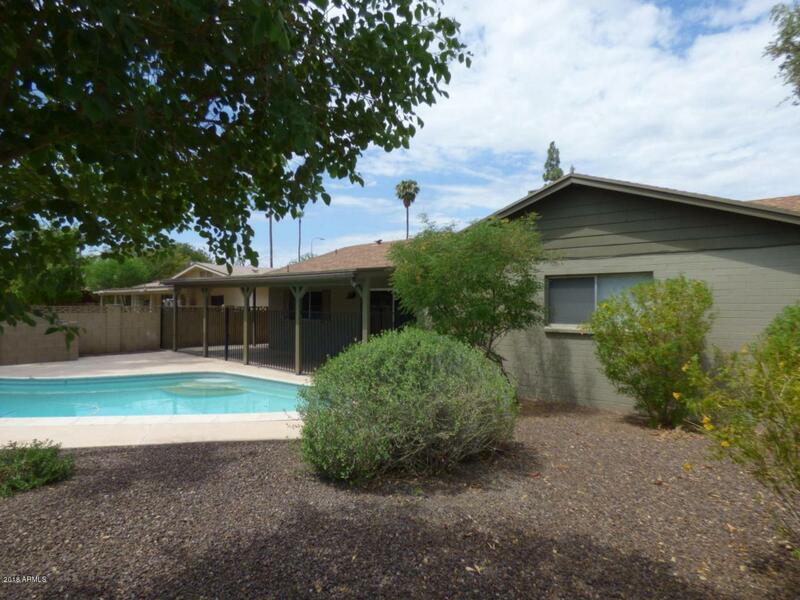 This open, spacious Tempe home has 4 bedrooms, 2 bathrooms and a 2 car garage. Backyard is perfect for entertaining with large covered patio and fenced diving pool. Nicely remodeled inside with tile floors in living areas and carpet in bedrooms. HUGE eat-in kitchen with granite counters, stainless steel appliances, tile backsplash and TONS of cabinet and counter space. Dual pane windows through out and newer ceiling fans in all rooms to help reduce utility costs. HUGE indoor laundry room with tons of built-in cabinet space. Low maintenance desert landscaping in front and backyard. Excellent location close to ASU, freeways, entertainment, dining and shopping!